The climax of all adventures was the adventure of Jesus in delivering men from sin and sickness and death. One can not measure the Man of Galilee with any tape line or yard stick that comes from human reasoning. Jesus is outside of the realm of reason. In the first place His history was written by the prophets ages before He was born. Man can write a better history of Jesus from the Old Testament than they can from the New Testament. In the New Testament we have simply a little fragment about His incarnation and birth and then thirty years of silence, except for a little glimpse of Him when He was twelve years of age. All the books that have been written of Jesus have been written almost entirely about His three years of public ministry that began with His baptism in the Jordan and closed with His resurrection. Now men try to write on His pre-existence. Here and there one has caught a glimpse of His ministry seated at the right hand of the Majesty on High. I want you to see another fact. That every prophecy that was written before His time was all in the miracle realm. His incarnation was a real miracle. He was not born under the natural laws of generation. He was conceived of the Holy Ghost. He was a true incarnation - God uniting Himself with humanity. The scenes surrounding His birth - the angelic visitation, the coming of the wise men were all miracles. The angel’s warning to Joseph to flee with the child to Egypt was miraculous. The very silence of those thirty years is considered most miraculous. The divine silences represent the most marvellous elements in the Book we all love. The descent of the Spirit at His baptism was a miracle. From that day until Mount Olive was a period of miracles. His life among men was a miracle. The new kind of life that He revealed to the world was a miracle. Jesus’ mental processes were miraculous. Our libraries are full of books written by great thinkers, like Thomas Edison, and others, who were incessant thinkers. With Jesus there is something different. He speaks out from the Spirit that dominated His spiritual faculties. Jesus’ spirit ruled his intellect. Gems of divine truth dripped from His lips as honey from the honey comb. 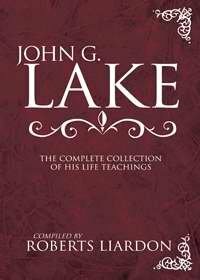 The sermon on the mount, great portions in Luke and John are as untouched as when they dropped from the lips of Jesus. Men’s writings grow old and out of date. God’s truth is ever fresh. Yes, Jesus words and life and contact with men was miraculous; it is still miraculous. His death on the cross, His three days in the tomb, His dramatic and startling resurrection were all miracles. His presence among the disciples on different occasions, and finally His ascension in the presence of five hundred witnesses were miracles. The do not belong to the reason realm - they belong to the miracle realm. Jesus was in the realm of the Spirit, the realm of faith, the realm where God acts, the realm where the real child of God lives. You see Christians have been translated out of the realm of human thought and reason into the Kingdom of the Son of His love, the realm of the Spirit. It would be uncharitable if we were to criticise the man of reason, who knows nothing about the spiritual realm. Christianity is not the product of human reasoning. Christianity is a divine intervention. Christians are those who have been “born from above.” They have been recreated. This life of God that comes into their spirit nature, dominates the reason so that they have the “mind of Christ,” to think God’s thoughts and live in God’s realm of miracles. Friends, when a Christian tries to live by REASON he is moving out of God’s country into the enemy’s land. We belong in the miraculous or supernatural realm. Christ was a miracle. Every Christian is a miracle. Every answer to prayer is a miracle. Every divine illumination is a miracle. The power of Christianity in the world is a miraculous power. God help us to realise that ours is a High and Holy Calling.